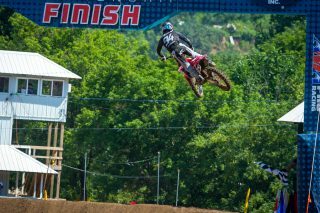 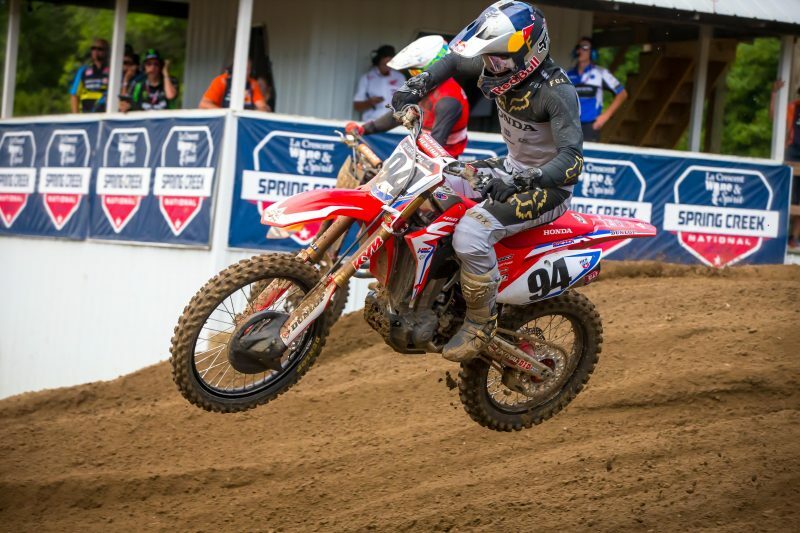 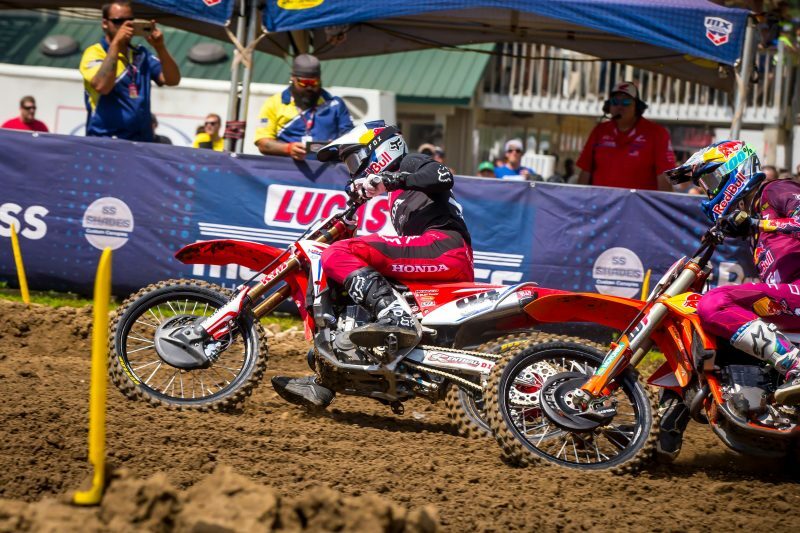 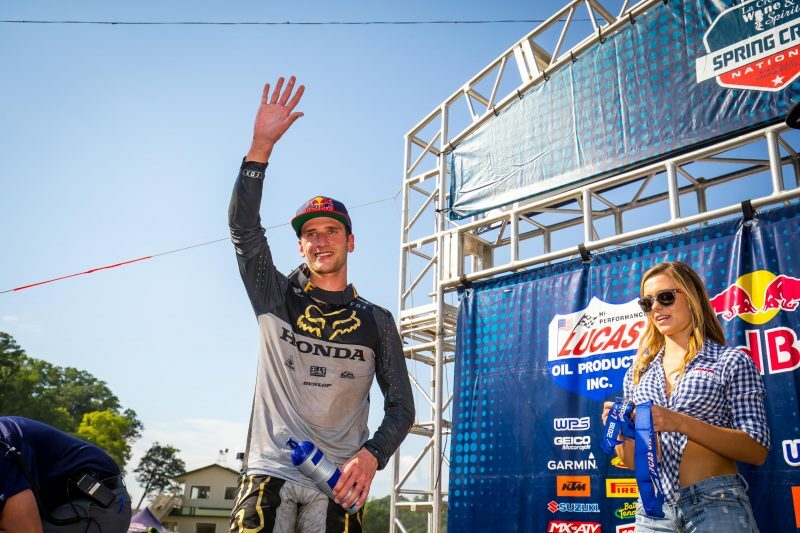 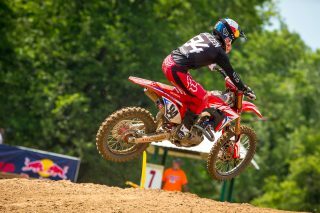 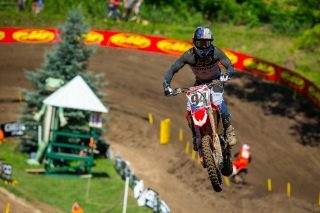 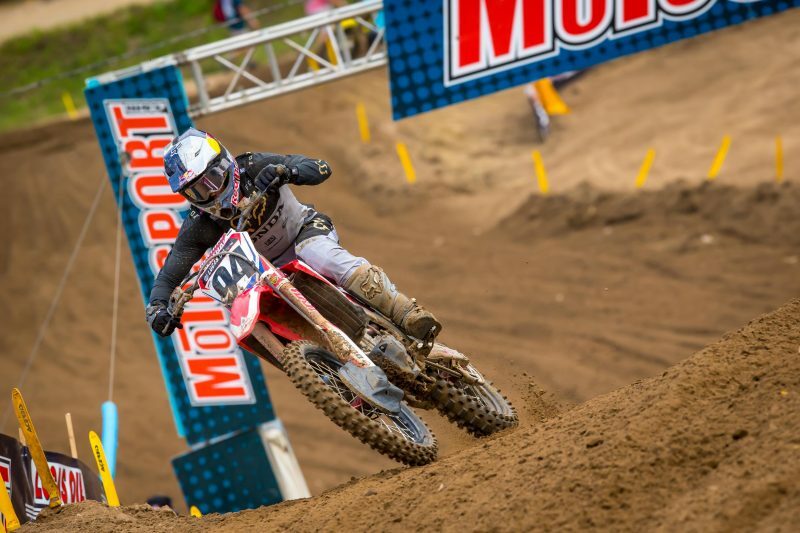 This weekend marked round eight of the AMA Pro Motocross series, at Millville, Minnesota’s Spring Creek MX Park, where Team Honda HRC’s Ken Roczen rode strong aboard his CRF450R, leading over half of the first moto en route to an exciting second-place overall result, via 2-3 finishes. 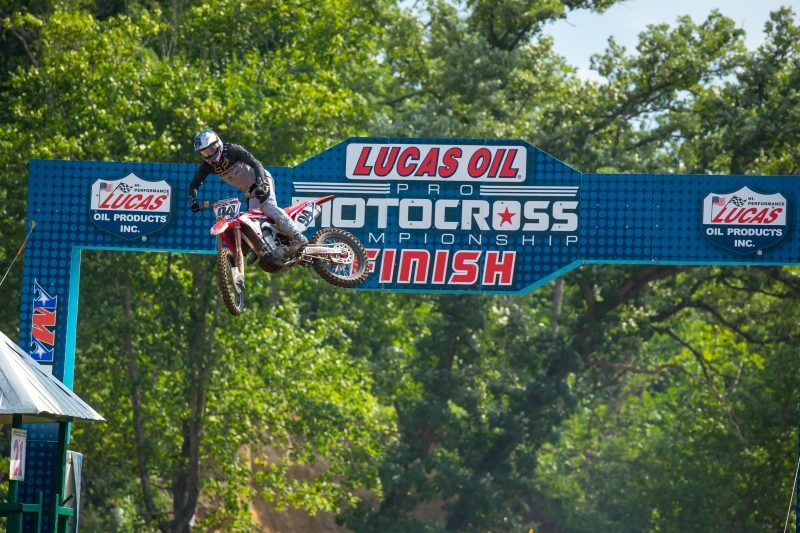 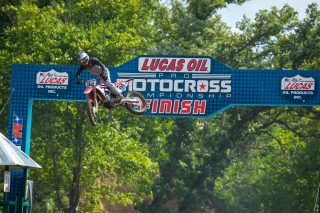 When the gate dropped in moto one, Roczen rocketed his No. 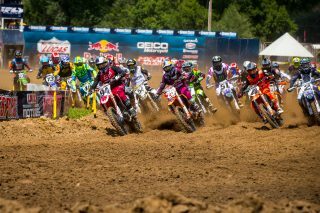 94 machine down the start straight, taking the holeshot and lead. 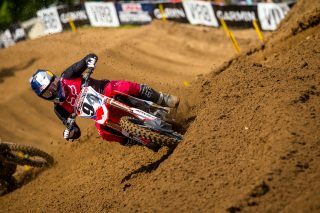 Within the first few laps, the German had already pulled a small gap on the riders behind him. 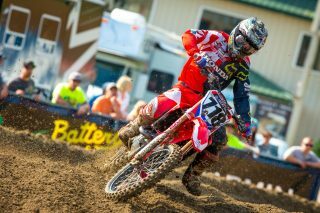 He came under fire at the halfway mark but fought hard to hold off the advances. 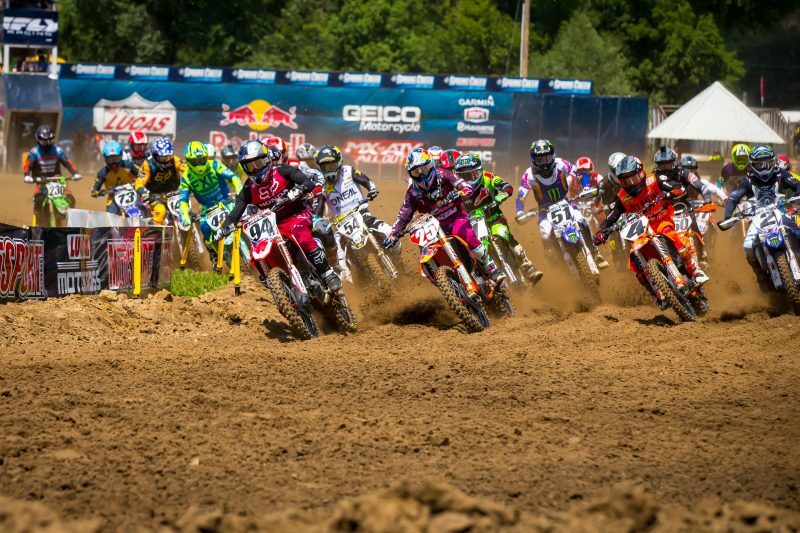 It was a game of cat-and-mouse for much of the remaining 30-minute-plus-two-lap-race until lapped riders began to pose a challenge. While charging through the sand whoops, Roczen was held up by another rider, enabling Eli Tomac to sneak by. 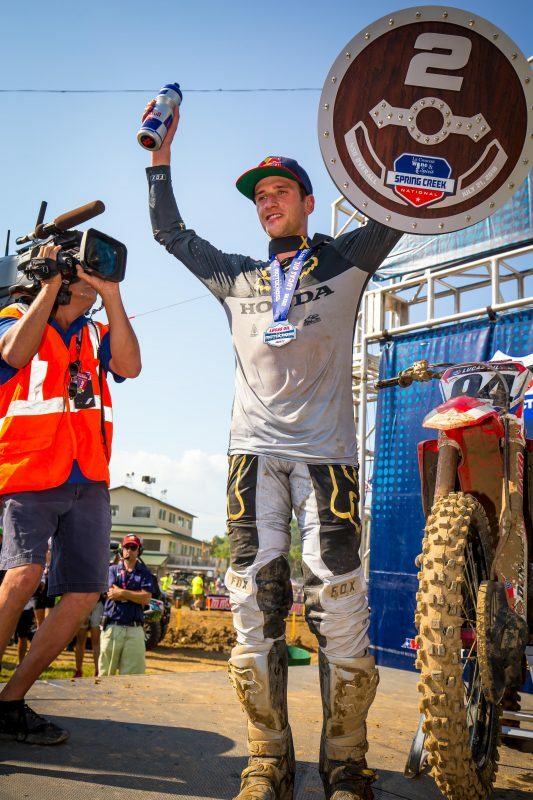 Roczen was unable to mount a counterattack and took the checkered flag in second. In moto two, Roczen turned in another solid start, coming around the first turn in third and then sneaking into second while charging down the big downhill on the opening lap. With 15 minutes remaining, a mistake allowed Tomac to close in, and a heated battle ensued. 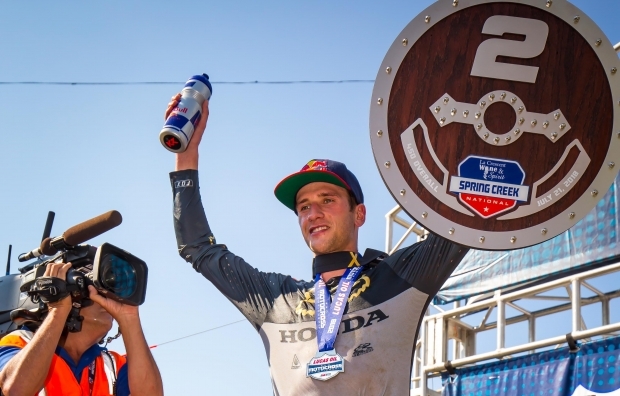 The two diced back and forth for some time before Roczen was overtaken and then went on to finish third. 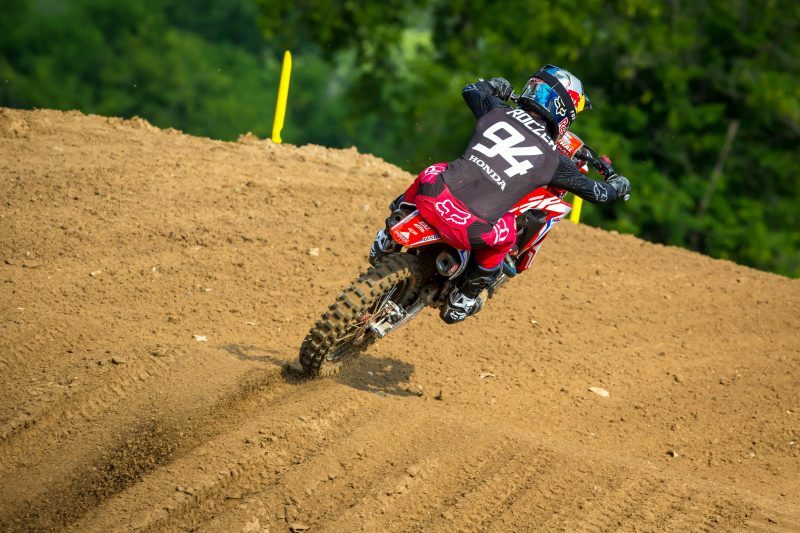 Ken Roczen started the day on a solid note, riding well during the morning qualifying practice to secure the third-quickest time, with a 2’13.438” lap. With his solid second-overall finish, Roczen maintains fourth overall in the championship standings with 288 points, eight behind third with four rounds remaining. 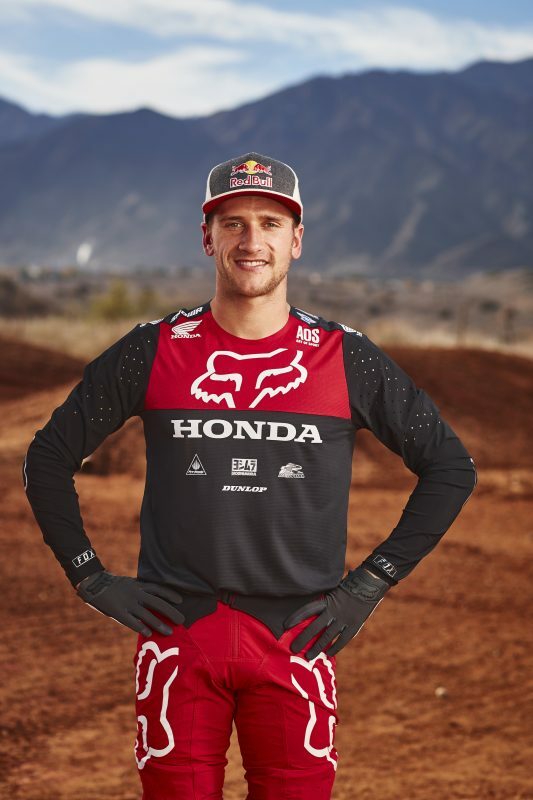 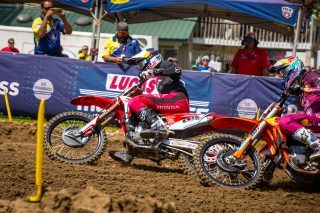 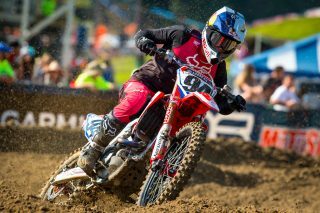 It will be a short week for the Team Honda HRC crew as they head to Washington State’s Washougal MX Park on Friday for designated press day, where Roczen will talk with local media and ride the track during two 20-minute sessions. 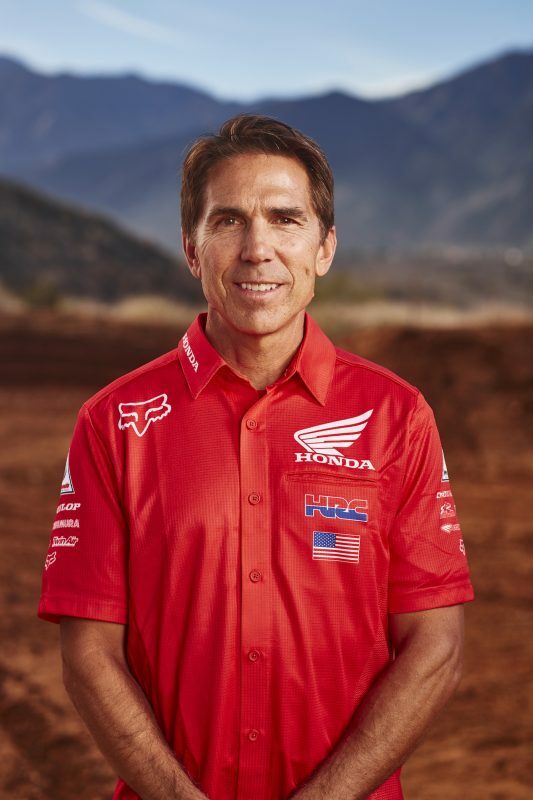 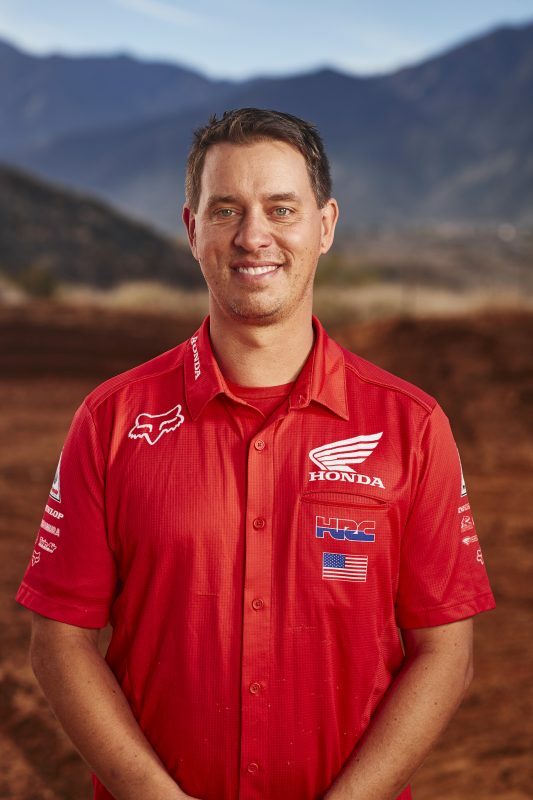 On Friday evening, he and the GEICO Honda squad will make an appearance at Pro Caliber Motorsports in Vancouver to sign autographs and meet fans, starting at 6 p.m.